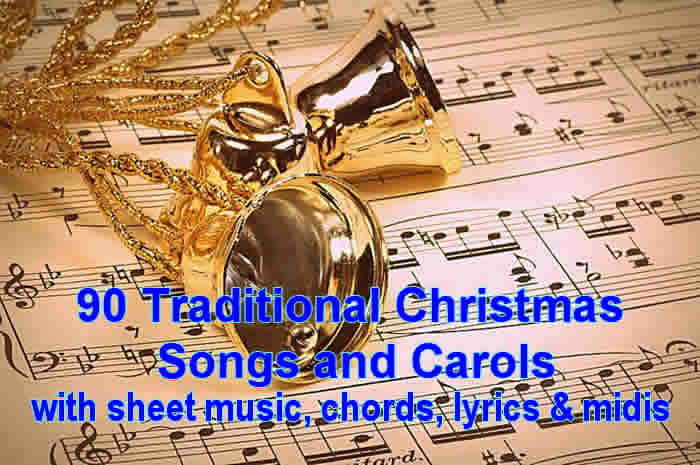 A collection of some 90 favorite traditional Christmas carols and seasonal songs covering pretty much all of best know of these songs but also including some less well know examples. Most are complete with scores, lyrics and MIDIS. The arrangements are mostly in the keys most commonly used. The list of tunes/songs will take you to individual pages with the midi, lyrics and score for each piece. Don't forget to checkout our Songs with midis pages which also have many Christmas and Christian Songs. ALL ABOUT CHRISTMAS page on my childrens books site.